Ward 5 Report: Tell Congress -- Hands Off D.C.! 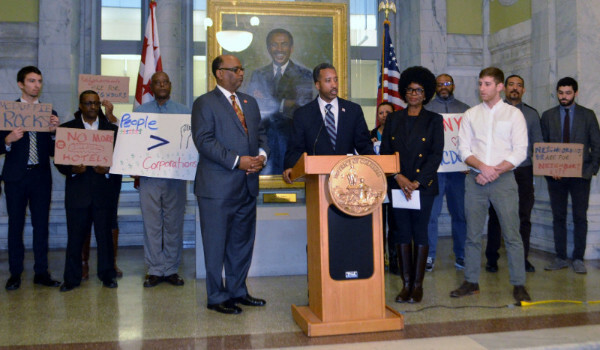 In this issue of the Ward 5 Report: Tell Congress -- Hands Off D.C.! Congress is at it again. Congressmen from Utah and other places where Washingtonians DO NOT live are trying to use the District of Columbia's lack of voting representation to score political points. Residents from all corners of the District stand up with one voice to tell Congress that the only people who should be making laws for D.C. are D.C. voters. 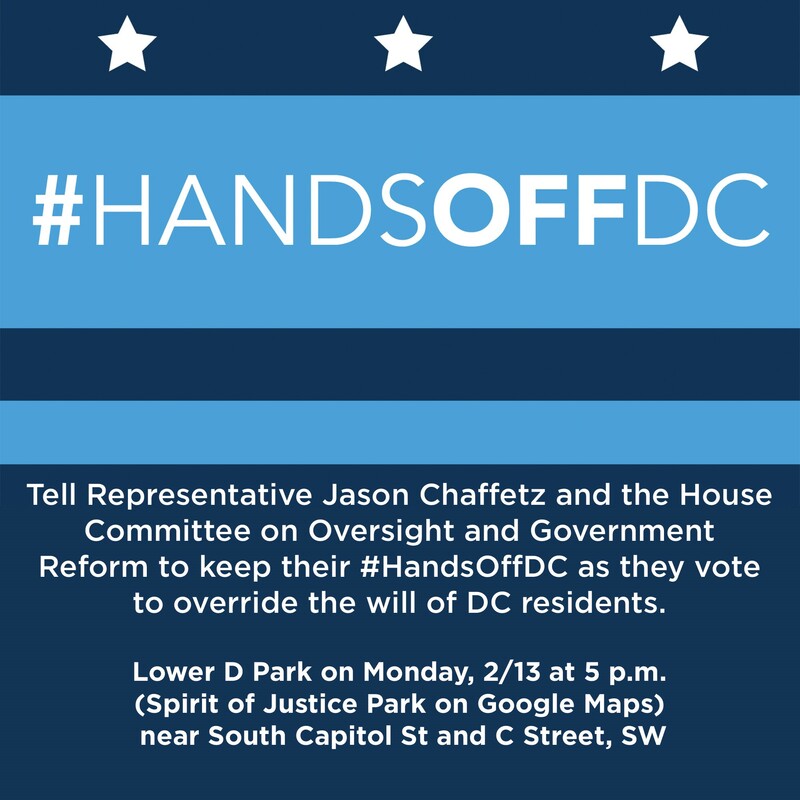 Please join me and my Council colleagues tonight as we gather outside the U.S. House of Representatives for a rally to tell Congress to keep their #HandsOffDC. RSVP or spread the word via Facebook here. I hope to see you tonight. If you are not able to make it out tonight, there are other ways to make your voice heard. 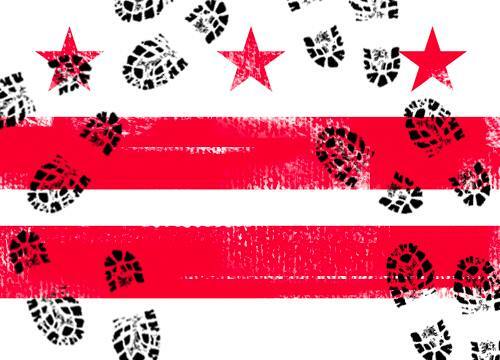 On Wednesday, Feburary 15 there will be a lobby day for D.C. Statehood on Capitol Hill. Or check the bottom of this email for contact information for key members of Congress. Call, visit, email or use social media to tell them that we do not appreciate their interference in our local affairs. 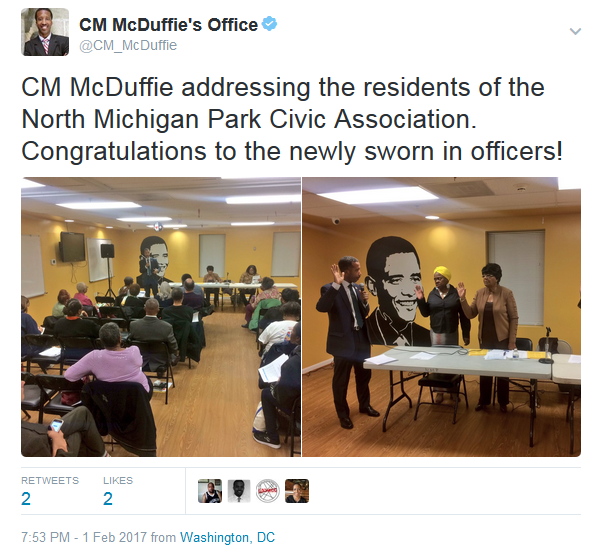 Councilmember McDuffie swears in the new officers of the North Michigan Park Civic Association. 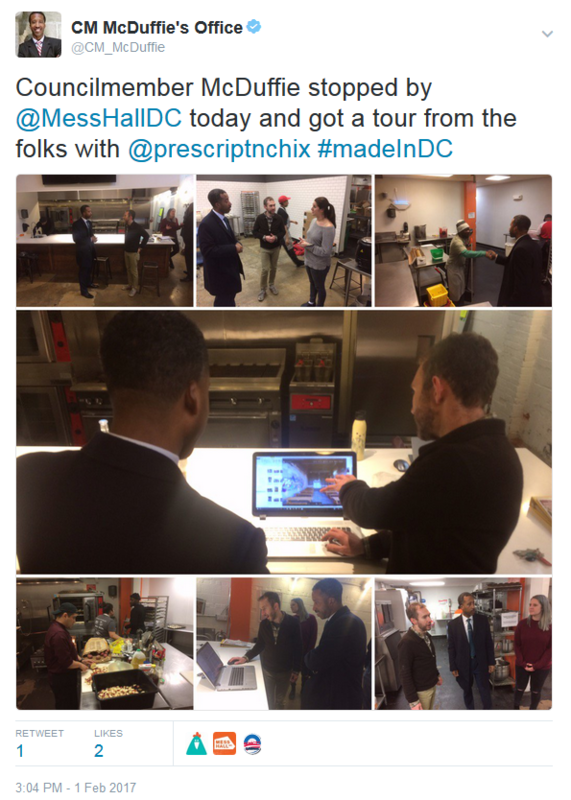 Councilmember McDuffie tours Mess Hall, a culinary incubator, in Edgewood. 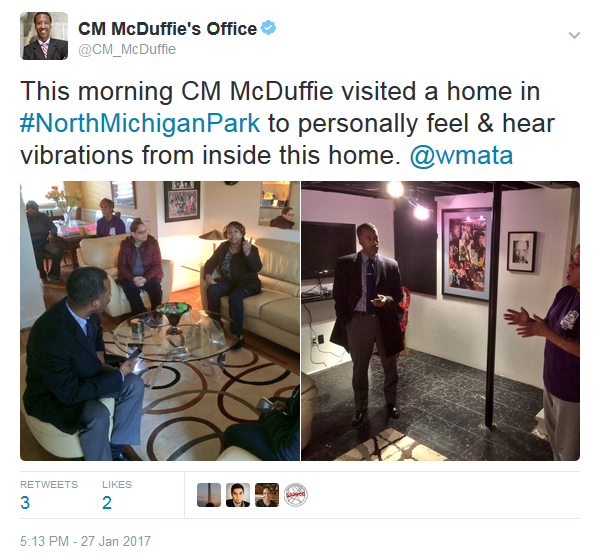 Councilmember McDuffie visits a resident's home in North Michigan Park to personally experience some of the vibrations that neighbors are feeling. 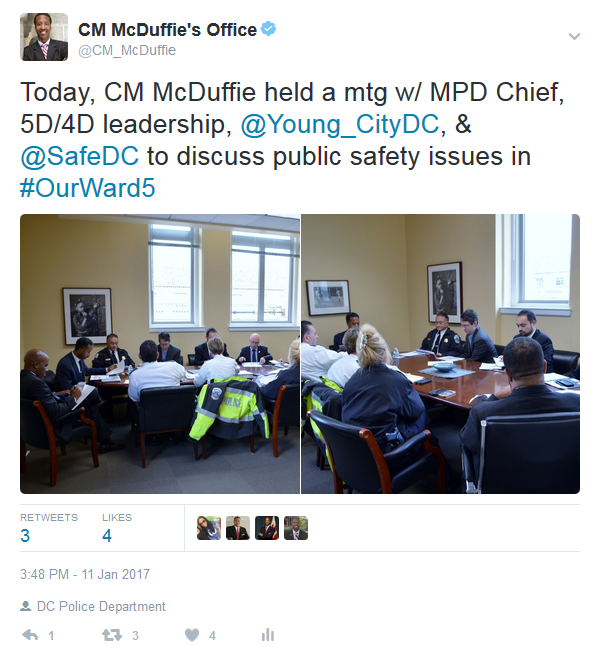 Councilmember Kenyan McDuffie meets with D.C. public safety leadership and 4th/5th District MPD leadership to discuss crime in Ward 5. 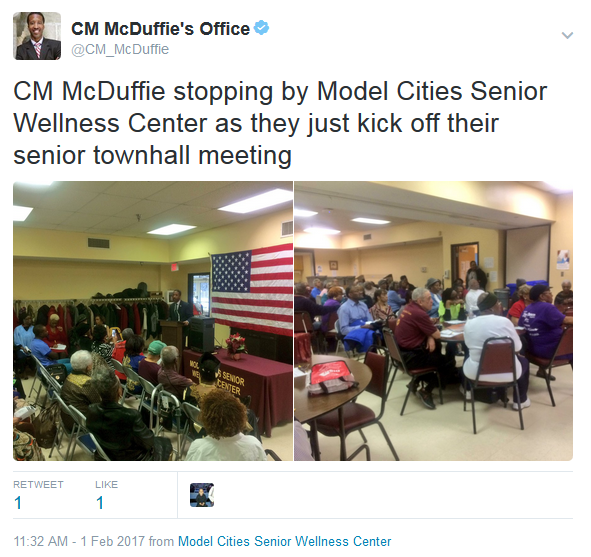 Councilmember McDuffie stopping by Model Cities Senior Wellness Center to chat with our seasoned citizens. 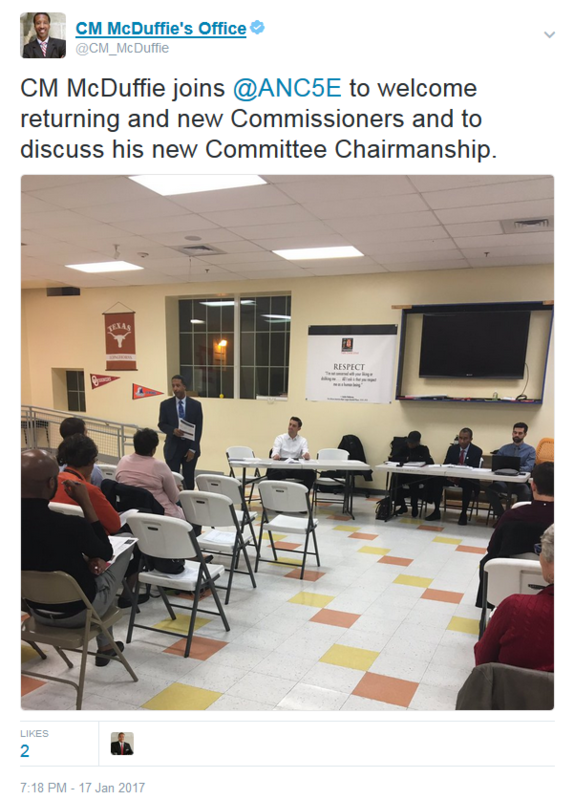 Councilmember McDuffie gives an update to ANC 5E. The District Department of Transportation (DDOT) invites you to a public meeting to discuss the Tactical Urbanism project at North Capitol Street and Lincoln Road, NE. The purpose of this project is to increase safety at the North Capitol/Lincoln Road, NE intersection through immediate, short-term improvements that will lead the way for a larger intersection safety project. DDOT will present a draft design concept and gather comments from the community at this public meeting. The District Department of Transportation (DDOT) invites you to a public meeting to discuss the New York Avenue Streetscape and Trail Project. The purpose of this project is to develop design solutions for a streetscape and trail targeting multimodal, safety and aesthetic improvements along New York Avenue NE. DDOT will present design concepts and gather comments from the community at this public meeting. 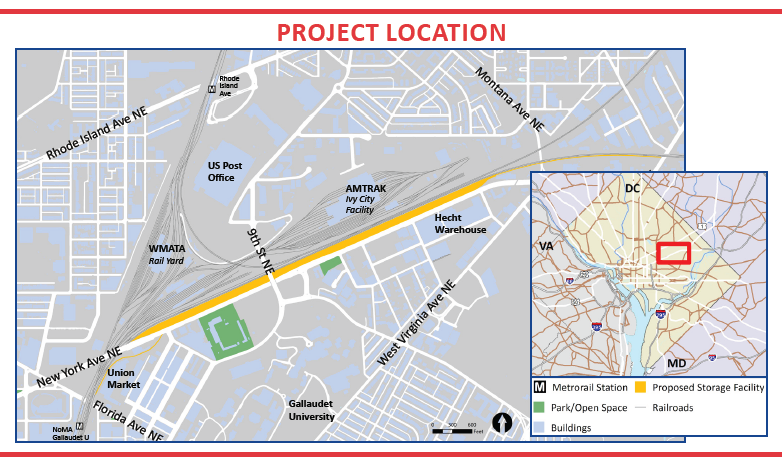 The purpose of the Virginia Railway Express Midday Storage Facility project is to replace the current storage space leased from Amtrak at the Ivy City Coach Yard in the District of Columbia. The project will include planning, designing, and constructing a permanent midday storage facility for VRE trains that travel to the District. The proposed facility will accommodate up to 20 trains, and will be used to store commuter trains on weekdays between the inbound morning commute and the outbound afternoon commute. VRE will work with members of the community, stakeholders, and property owners to assess potential impacts and determine ways VRE can be a good neighbor. 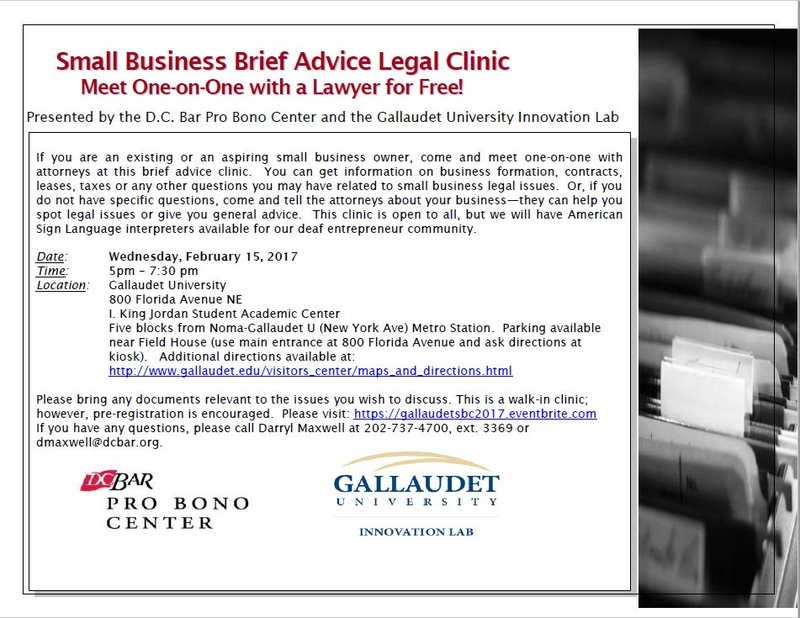 If you are an existing or an aspiring small business owner, come and meet one-on-one with attorneys at this brief advice clinic. You can get information on business formation, contracts, leases, taxes or any other questions you may have related to small business legal issues. Or, if you do not have specific questions, come and tell the attorneys about your business—they can help you spot legal issues or give you general advice. This clinic is open to all, and will have American Sign Language interpreters available for our deaf entrepreneur community. This is a walk-in clinic; however pre-registration is encouraged. Please RSVP by clicking this link.